Don’t miss what could be our best show yet. 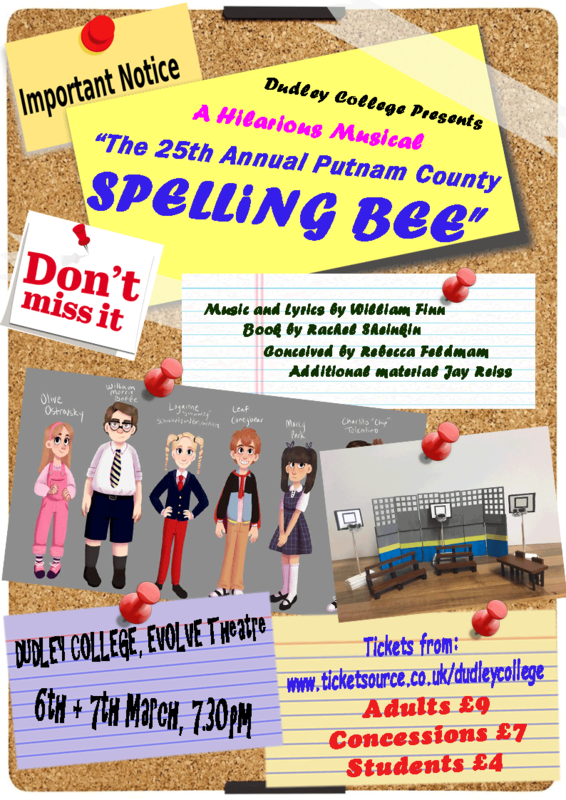 "The 25th Annual Putnam Spelling Bee" is a hilarious comedy musical about young people and the pitfalls of unbridled competition. We see the highs and lows, and the difficulties of growing up. We have all been there but not necessarily in front of an audience! A musical that is as heart-warming, as funny and as wonderful as this is, in all its celebration of human nature and in all its fantastic and quirky forms, will send you home with feeling that life is good. Who knew spelling could be so much fun. Warning: Audience participation for a lucky few and puberty references will happen – after all these characters are growing up. Book now for your seat at the greatest show in town, you won’t regret it.